Admit it, the jacket that Hugh Jackman wore in X-Men Origins: Wolverine is badass. Well, you can get it made to your fitting at the Karnataka Leather Crafts in Commercial Street. Now, all you need to worry about is getting those adamantium claws. Custom made leather jackets that look straight out of a Hollywood action movie are what Raj's store does best. 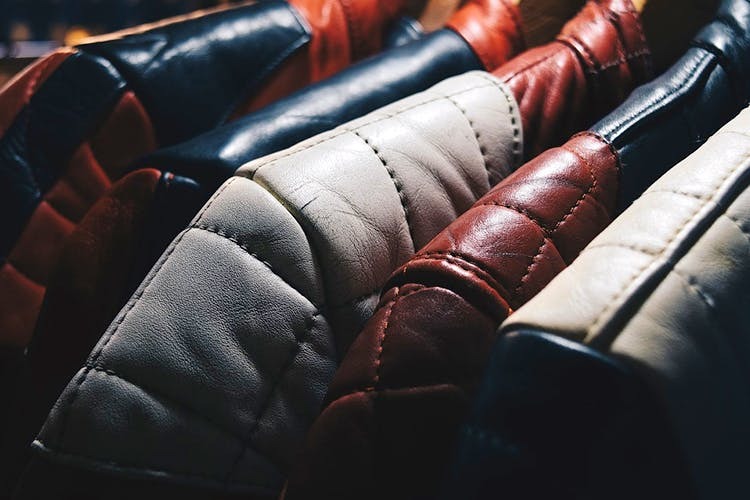 Throw in the fact that he can stitch up a solid detailed copy of the same Wolverine jacket that Hugh Jackman wore in the movie X-Men Origins: Wolverine, you've got yourself a new best friend in Raj when it comes to leather jackets. A tiny non-descript store on the first floor of the building opposite Burger King, you’ll find leather jackets in all shades hanging around or lying around in heaps. But if you are looking for something like a racer, biker or even bomber jacker, consider it done. You can come with your own design or take a look at the display, but here's us telling you ideas. Get the one Mel Gibson wore in Mad Max or that car jacket that Brad Pitt wore in Fight Club. Oh, ladies, Raj does leather jackets for you as well. Think Gal Gadot’s Fast & Furious 6 jacket or Jennifer Lawrence’s Hunger Games tanned jacket. Any case, the prices start at INR 3,000 and delivery date can be in three to four days. Don't haggle, because Raj will give you discounts even if you are ordering just one jacket.